Custom Installation Guide - FREE! 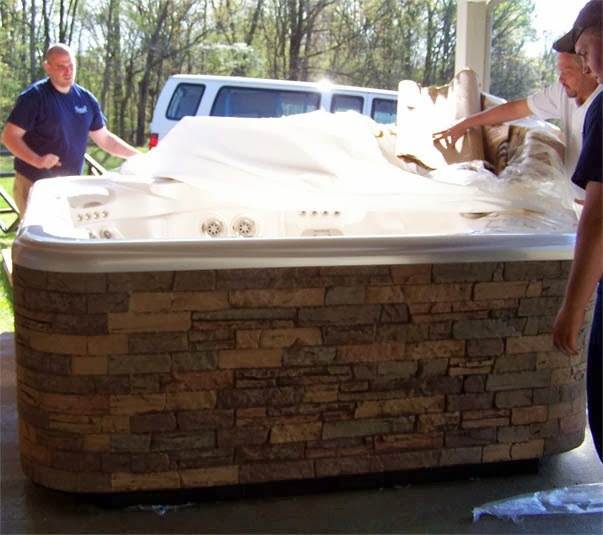 28-page Custom Installation Guide by Hot Spring hot tubs provides you with information on recessing your Hot Spring spa in a deck, patio or other landscape elements. What Makes One Hot Tub Different from Another Hot Tub? If you haven't noticed, lots of folks are buying spas these days. According to a recent study by the National Spa and Pool Institute (NSPI), there are now some 3.3 million residential spas in place. Less costly to install and operate than their in-ground counterparts, portable spas which are completely self contained and require no plumbing, represent about 85 percent of all spas sold. As with any major purchase, careful shopping and research can help ensure you make the best buying decision to meet your needs. There are some different 75 spa manufacturers in the U.S. and products vary widely in price, quality and dependability. We recommend people do their shopping very carefully, comparing materials utilized in construction, the warranties offered by manufacturers on various models, the cost to operate on a monthly basis, customer referrals, and the manufacturer's history. 1. What is manufacturer's track record and reputation? Ask your spa salesman questions about the manufacturer. How long have they been in business? How many dealers do they have? How many states do they sell their product in? Are there any claims filed against them (call your Better Business Bureau)? It's important to get a good feel for the company and its history, and how long they'll be around in the future. 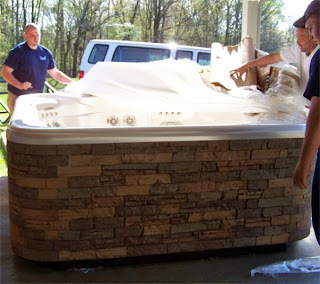 Owner satisfaction is built into every Hot Spring® hot tub. 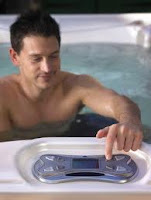 Hot Spring® hot tubs are the world's number one brand of portable hot tubs. They have been the market leader since 1977. 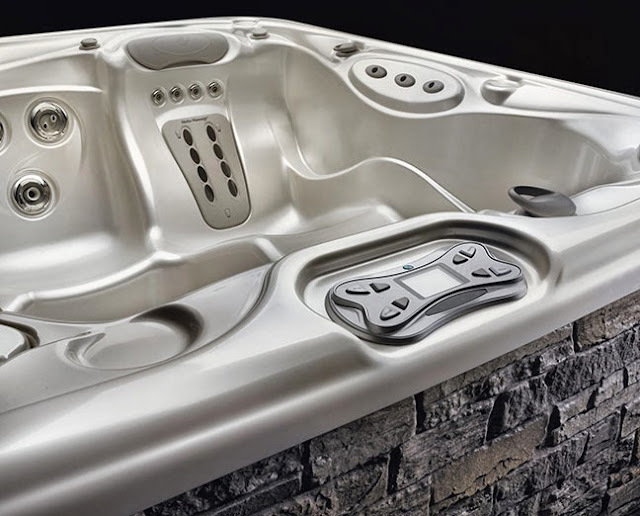 Hot Spring® hot tubs are made by Watkins Manufacturing, of the Masco Corporation family of companies whose products like Delta® faucets, Behr® paints, and CraftMaid ® cabinets, are well known for quality and value. 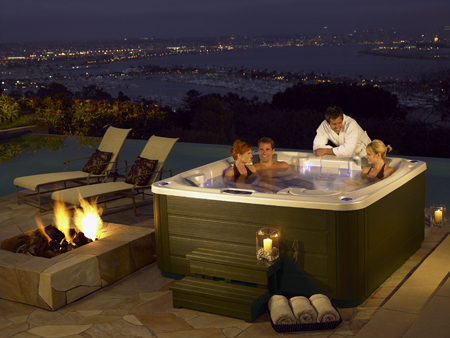 You can own and enjoy a Hot Spring® hot tub no matter where you live. They are available in all 50 states, Canada and over 50 countries. 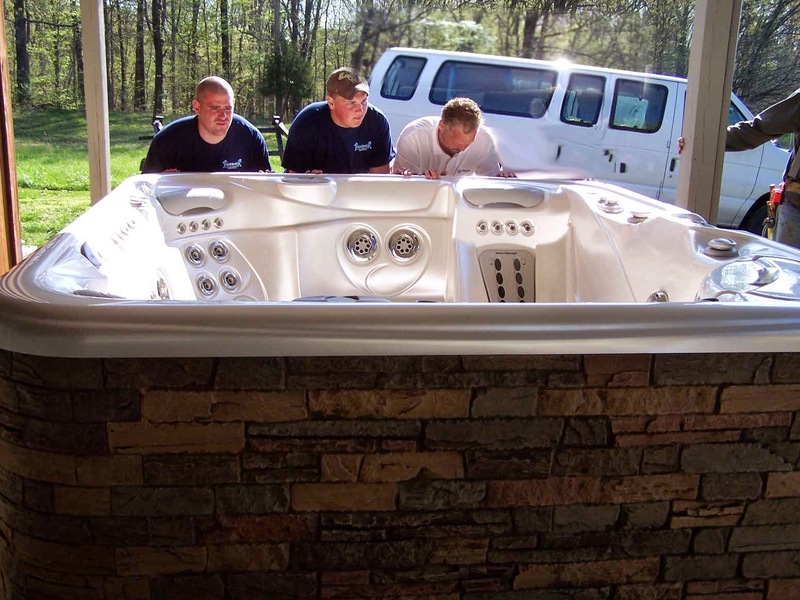 With their global network of over 950 dealers and service centers, a hot tub professional is always there for you, before, during and after the sale. 2. How long has the dealer been in business and carried this spa line? The longer a dealer has been in business, the better their track record is likely to be. And the longer they've carried that particular brand of spa, the higher your comfort level will be. It's very important to both seek out a manufacturer with a strong company history and to select a dealer who is committed to that manufacturer's product line. PoolCo has served southern Illinois since 1979. We provide the best ownership experience, because we keep our promises. 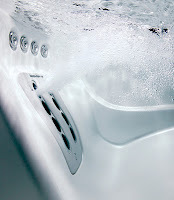 PoolCo has carried and serviced hot tubs since 2000. 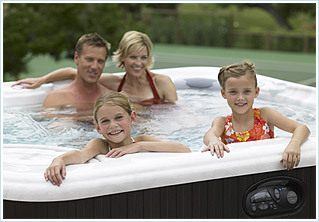 We have sold Hot Spring® hot tubs since 2005. We are a low pressure reputable dealer who can answer all of your buying questions. 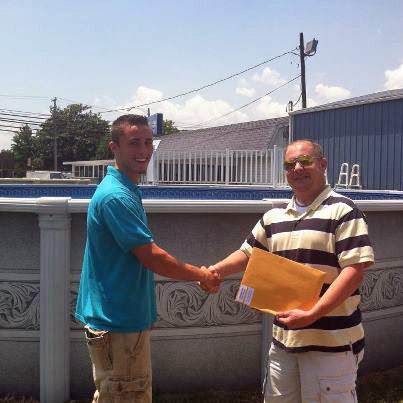 During your hot tub ownership, PoolCo is proud to honor you with our outstanding customer service. Our experienced staff receives specialized training. PoolCo: Three generations of Carvells, same business - same location. 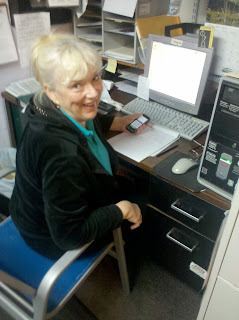 We are ready to answer your questions, help with follow up calls, and trouble shoot any concerns. We create happy customers. 3. What is the warranty on this brand of spa? Ask for a copy of the warranty to take home with you for any spa you look at (some dealers are reluctant to give you a copy of the warranty to take home and this should be a "red flag" to you as to what the fine print may say). Have the dealer clearly explain what is covered and what isn't. Get any and all promises in writing. A reputable manufacturer will cover not only the spa shell, but the plumbing, jets, and all major components for up to five years. A good rule of thumb is to buy a spa that the has been made by a manufacturer who has been in business longer than the warranty they offer. 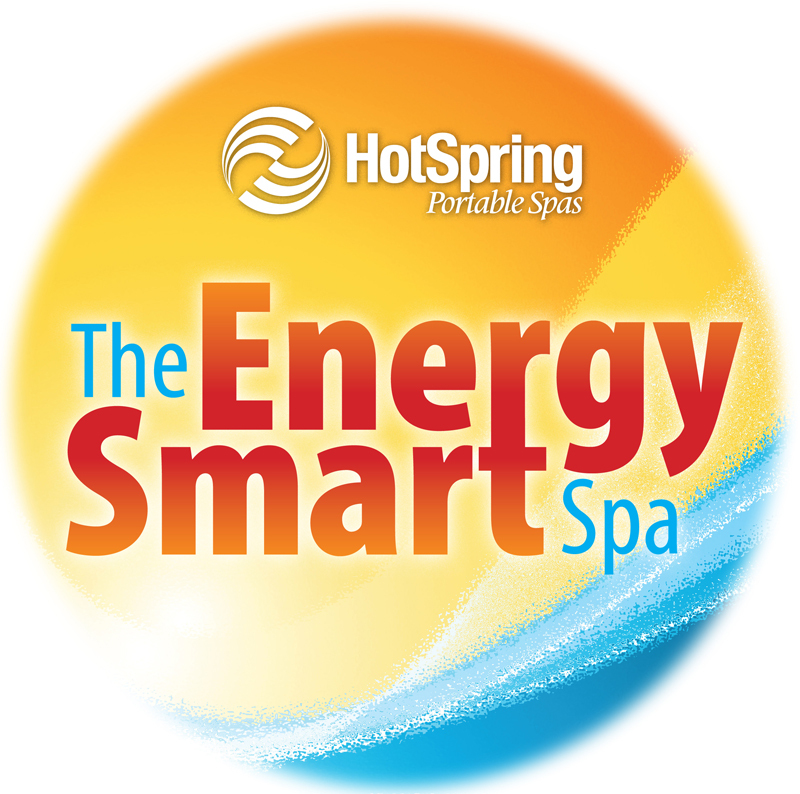 The Hot Spring® warranty remains comprehensive and straightforward. as well as the finest after-sale customer care. A warranty is a promise. A great warranty provides the peace of mind that supports your purchasing decision. Simply put, they - the manufacturer AND the dealer - promise to fix any mistakes (defects) that originated at their factory. What makes a warranty a great warranty is how well they keep that promise. Is the warranty unconditional or do they blame you for the cause of the problem, to get themselves off the hook? Does the dealer have their own service department or do they subcontract the work out? How quickly does the dealer respond to your request for service? Do they require you pay a fee before warranty work is performed? Do they have a professional, courteous staff to help you know your hot tub and its operation? After any service work is performed do they contact you to make sure you are happy? PoolCo never charges diagnostic or trip fees to perform warranty work. Our competition, however, charges you a fee BEFORE they will perform warranty work. Why would they charge for something you would expect to be free? Our competition does not have their own service team. They must refer you to someone else for your hot tub's service needs. 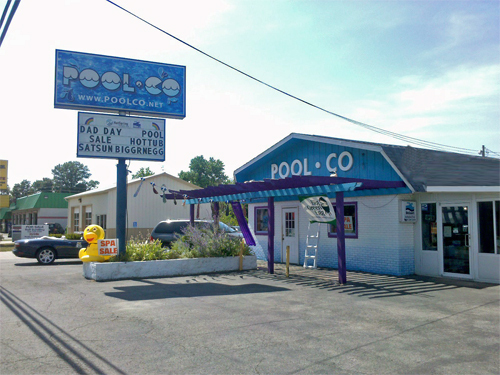 PoolCo firmly believes that you should be able to call us for all your needs. Isn't that easier for you? PoolCo has an advanced technology that Hot Spring shares exclusively with us, their dealer, to provide you the finest in customer care. 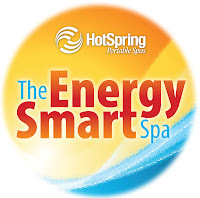 Authorized Hot Spring spa dealers use DeTECHtive, a sophisticated software tool that provides step-by-step diagnostic instructions, detailed parts lists and electrical schematics for all Hot Spring spa parts. 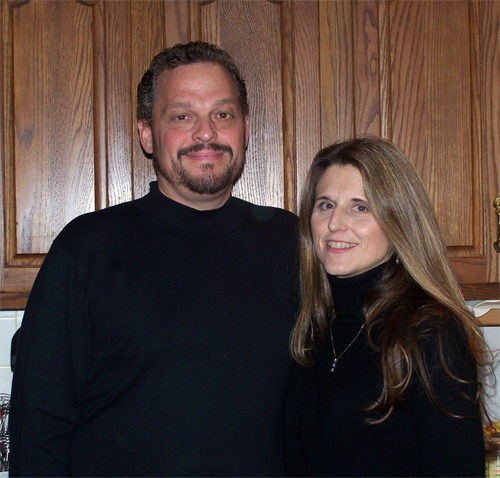 Mark and Mary Carvell, owners - are Hot Spring factory trained. 4. Do I feel comfortable in this brand of hot tub? The most important feature is how you feel sitting in your spa. What good is it to save a few dollars or fall in love with the look of a certain model, if it is not comfortable to sit in? We advise consumers to take a "test soak" in the dealer showroom to see how their seat fits into the spa seats, and how the jet placement feels. It's also important to get a feel for how a particular model feels wet, and to do that you have to climb in when there's water in it. Spas feel very different wet than they do dry, as many spas are displayed. 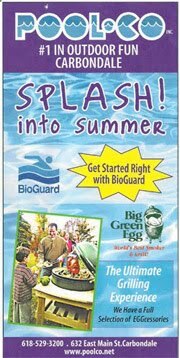 You wouldn't consider buying a car without a test drive, and you shouldn't consider a brand of spa without a test soak. 5. What kind of shopper are you? What is your shopping style? Do you enjoy putting pen to paper and using hours and days of your time looking at all the fine print? Or do you simply hate this? Do you like talking to sales people? Or do you simply hate this? Do you have the time to visit several stores? Or would you prefer they come to you? Shopping your way is easy at PoolCo. Whatever your shopping style, these easy steps help you find the tub you love. Focus on what type of hot tub experience you want. Consider each feature of the hot tub. Decide if the feature will add to your experience. Decide if you would miss any of those features, if you didn't have them. Lastly are those features and the hot tub reliable? Will they keep their promise of performing for you day in and day out, year in year out? No Pressure PoolCo. You're the boss, you decide where and when. Go ahead shop online. We've got so many great experiences to share. Shopping online saves you time and energy. PoolCo is ready to help on YOUR schedule. Search the Internet. Talk to Friends, Co-Workers and Family. How can you you perform a true comparasion? Search the Internet. Talk to others. You probably are already searching and shopping online. Go to message boards. Use all the "Social Media" sites that exist to chat with different retailers and manufacturers. Shopping online saves you time and really gives you a great idea of what others are experiencing locally, nationally and worldwide. Reap the benefits of the real life experiences real hot tub owners have shared online. Very quickly you will find which websites are helpful and which are "HIDE FULL". What does that mean? Do they provide specifics about their products? Or do they just say they are the best with vague promises? It's so easy to simply want to believe what we want to be true. Especially when you find a low, low price. There is truth to the saying, "If it seems too good to be true, it probably is..."
How do you see yourself using your hot tub? Connecting and sharing time with your main loved one? Will you start a new tradition of sharing and exchanging family time, like you did as a child with your parents around the kitchen table? Will restore your mind and spirit , escaping at the end of a hectic day? Will you start your morning focused and on fire with renewed energy? Both? Connecting with Nature. Surrounding yourself with the fresh air, the sun, the stars and the sky as your canopy to fulfill your spiritual needs. Are you your suffering? Has the weight your world damaged you not only mentally but physically? Your need a true hot tub experience. Your experience isn't just a wish or dream, but something that you desperately need. Your Hot Spring spa could be just what the doctor ordered. A body of well-documented research suggests that hot water immersion can lower your blood pressure, increase blood circulation, loosen tight muscles and release endorphins, the body’s natural pain killers. Then you can decide if the "bells and whistles" that some spa manufacturers tout really add to your experience. Otherwise unnecessary features can mean headaches to you. In most cases, simplicity is the rule. Make sure you understand how to operate the spa, and strive to eliminate unnecessary features that are there just for show. A hot tub that is easy to use will give you the best experience. You want a spa that is ready to use, and that works every time you want to get in it. No troubles, no hassles. Look at where the jets are placed. Check the pressure of the jets and make sure they provide relaxation and not punishment. Hot Spring spas feature revolutionary "moto-massage" jets that move up and down the length of your back at a speed you control, providing an experience much like a manual massage. 6. Can I have customer references? We are proud of the outstanding reputation we have developed in 34 years of serving our pool and hot tub owners in southern Illinois. We can put you in touch with a number of customers to ask questions and get referrals about PoolCo. Remember, quality manufacturers have many satisfied customers. Read other Hot Spring owners stories. 7. What size spa will best suit my needs? Do you entertain a lot? Do you have a big family? Before you shop, try to determine how often you are likely to use your spa and how many people you'll need to fit in it along with you. PoolCo and Hot Spring offer a hot tub for every budget and experience your wish to enjoy. 8. How is the construction? Is it built to be easy to use and maintain? Is it built to save me money or drain my bank account? Hot Spring. Quality never costs - It SAVES! 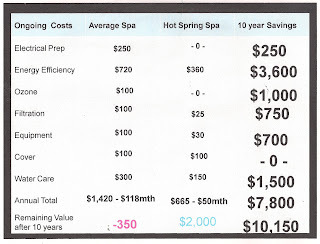 The quality of the construction and materials used will determine not only how long your portable spa will last, but the actual long-term cost to you as well. Make sure the shell is made from a durable material that has been tested over time. Is the cabinet made with an alternative wood material that is easy to virtually maintenance free? The components that run your spa should be field tested and backed strongly by the manufacturer's warranty. 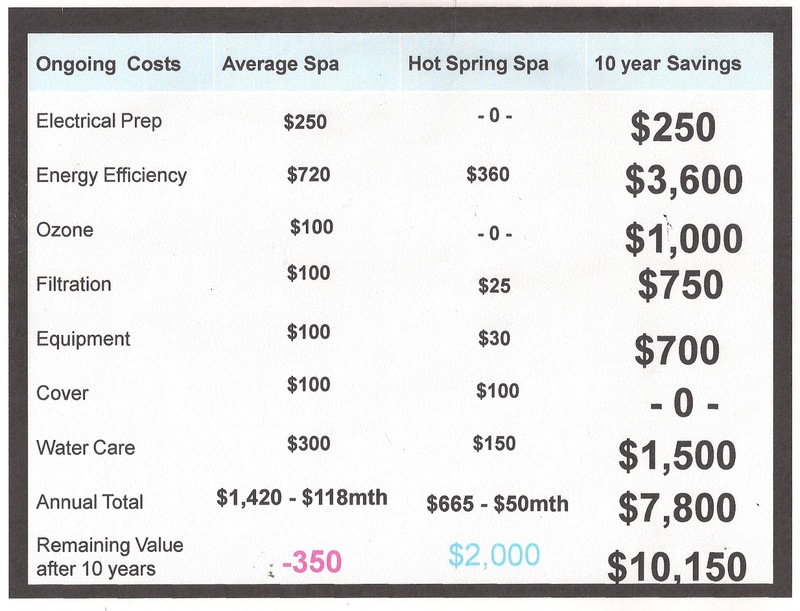 Hot Spring uses only the best materials, and their fully-insulated spas are designed to last longer and cost you less to keep up and operate on a daily basis for years to come. Hot Spring products, for example, come with two durable pumps in every spa one the water jets and one for the heater. 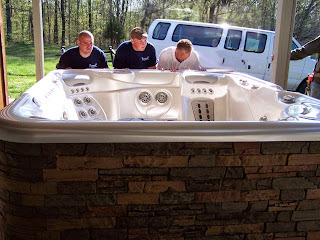 For those that like all the details, the PoolCo water experts, will gladly and patiently explain all the details on how each spa is made and the parts and materials used in construction. 9. How much will it cost me to operate monthly? Is it energy-efficient? Manufacturers or dealers should be able to provide you with documented information on the estimated costs of operation. Inquire if the manufacturer has conducted a third-party study on the energy efficiency of their spas. Often, spas with low initial purchase prices can cost two to three times a month more to heat than higher priced models, which in the long run may actually make them more expensive. Don't take a salesman's word for it, ask for the estimated costs in writing and ask your referrals what their experience has been. These key questions along with a few of your own (i.e. What financing options do I have? What is included in the price of this spa?) can help serve you as a great guide. When you are ready, visit our showroom. Experience our filled, operating hot tub displays. Discover all the many price and feature options. Schedule a complimentary Backyard Consultation. 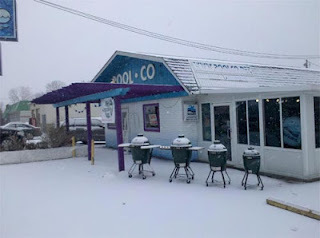 PoolCo is open to serve you all year round! 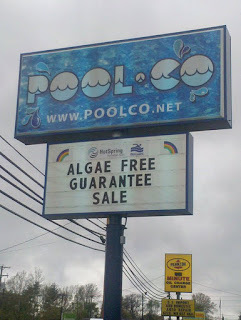 Call 618-529-3200 "Friend" PoolCo Carbondale on Facebook Or send an email!